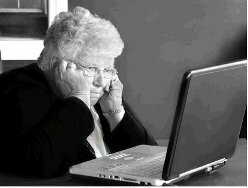 New Facebook Scam called "Grandparents Scam"
Is your Grandmother of Grandfather on Facebook? If so, you might want to let them know about the new Grandparent scam on Facebook. The Grandparent scam on Facebook is very similar to the email and Craigslist scams of the past. People contact you and represent themselves as someone false in an attempt to get you to “Western Union” cash to them. The Grandparent scam on Facebook works like this: people are scouring Facebook to find people who appear to be a “grandparent”, or who is actually talking about their grand kids. And amazingly enough, the scam is working. Supposedly some $4 million dollars has already been scammed away from unsuspecting grandparents. So please let your grandparents know about this terrible scam, and let your friends know who have grandparents on Facebook. The only way to stop scammers like this is through knowledge, and letting as many people know as possible. Click the Twitter or Facebook share buttons above to share with your friends.